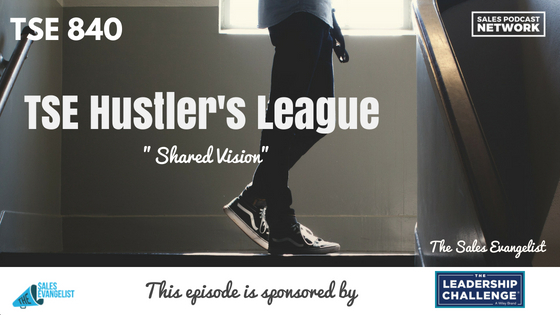 TSE 840: TSE Hustler's League-"Shared Vision"
Prospecting is hard work. Most sales professionals hate it because it’s demanding. It’s unique to every customer. The key to successful prospecting is shared vision, or helping your prospects see available options and alternatives. 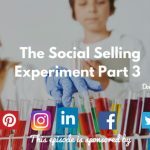 On today’s episode of The sales Evangelist Hustler’s League, we’re talking about prospecting, and things you can do to move your prospect toward a decision. 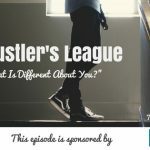 If you aren’t familiar with our TSE Hustler’s League episodes, we listen to a snippet of one of our online coaching sessions that address a common issue for sales professionals. One client shared that he begins by finding out what tools the prospect is currently using. Because his company sells video and video production, he focuses on the capabilities that the prospect likely needs, and the things they might be missing based upon the tools they are using now. He determines whether there is anything the client could improve upon, and he bases his first outreach on that information. He begins with contact that addresses the optimization that’s available to them, and he encourages them to find out what others in the area are doing for their own video needs. It’s a great strategy because it helps the prospect compare the current capability with the possibilities that are available. Many sellers mistakenly provide too much information early in the process. They have so much knowledge about their product that they are eager to share that they overcomplicate the process. Sears, the company that seems to keep surviving, discovered an odd correlation because they focused on data. They noticed that each time they had a sale on underwear, they also saw a spike in the purchase of power tools. When they investigated, they discovered that while their wives were shopping for underwear, men went to the tool department to avoid waiting around. If you find that you’re struggling to schedule follow-on meetings, it’s possible that you’re not providing value to your prospects. Ultimately, our goal is to understand our prospects, their needs, and their struggles. The more successful we are at sharing insights with the prospect, the more likely we’ll be to move the process forward. As you move into this part of the sales process, understand the power of the 5 whys. It’s a technique used to identify root causes, by repeating the question “Why?” after each previous answer. The idea is that one problem often leads to second- and third-order problems, so by continuing to ask “Why?” you’ll more likely discover the problem at the root of the situation. Check out The Sales Evangelizers on Facebook to connect with sellers of all levels and all industries. Learn what they are doing, share ideas, and compare notes with sellers from all over the world. Our next semester starts at the end of the summer, and we’d be honored to have you join us. Assistant.to can help you streamline your appointments and make it easier for prospects to engage with you early on in the sale process. It’s a free tool that allows you to embed your calendar in your emails so prospects won’t have to work too hard to connect with you.